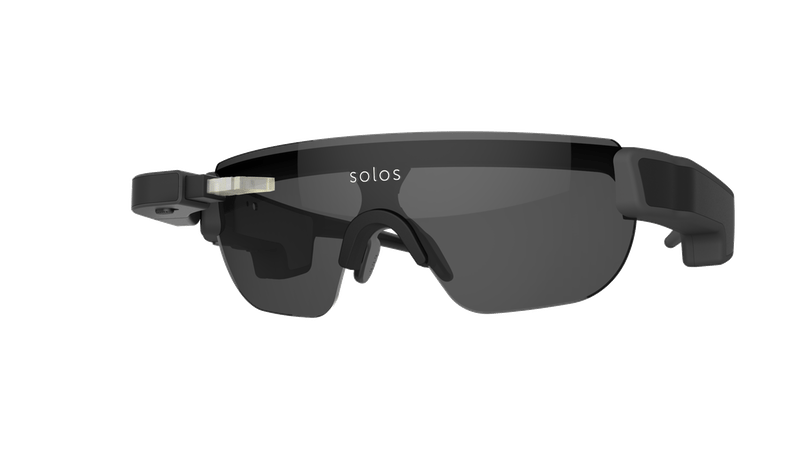 SOLOS, a unit of Kopin Corporation, has announced a new generation of SOLOS Smart Glasses. The new edition builds on the original features for cyclists by expanding the product to ‘empower performance support for runners’. SOLOS also includes ‘the most advanced Pupil display optics, which enable a ‘heads-up’ see-through experience with a larger eye box, enabling athletes to safely access their data in real-time. The newest smart glasses offer new audio features including voice control, accessing phone calls, listening to music and group chat communication. Featuring a lightweight design, SOLOS adds that it provides the necessary tools in a seamless experience to enable cyclists, runners and triathletes to reach their full athletic potential. SOLOS will be on display throughout the Consumer Electronics Show (CES) in Las Vegas this week, at Pepcom and Sands Expo, booth #45031. The new SOLOS Smart Glasses will be available in Q1 2018 for US$499. “The first generation of SOLOS was designed with feedback from USA Cycling athletes, and so we used these insights along with those of an entire community of early adopter athletes, including runners, for our new generation that now encompasses both sports,” said Ernesto Martinez, Program Head for SOLOS. The new generation of SOLOS brings expanded running capabilities, offering enhanced software to facilitate running metrics such as elapsed time, speed, power, pace, cadence, heart rate and more. Athletes can leverage wearable sensors to measure their run performance, set targets and use the SOLOS platform to track progress on those targets. In addition to performance features, runners can also listen to music, view mobile notifications and even receive audio and visual turn-by-turn instructions. SOLOS adds that it provides runners with a safe and seamless training experience, allowing them to keep their eyes on the road or trail. A key design element of SOLOS is its advanced Pupil display and optics. Measuring 4mm in height, the size of a human pupil, it enables a see-through experience while providing a large enough virtual screen that features bright, high-resolution colour graphics. The screen cuts glare and provides athletes with a ‘vibrant, sunlight readable image to maximize visual clarity and provide a safe experience’. The new generation of SOLOS offers over five hours of battery life, expanded horizontal and vertical adjustment of the display location for a customizable view, earbuds and audio projection speakers positioned at the temples to improve the overall audio experience. The optics’ patented technology provides a large virtual image; yet, SOLOS adds that this is so small that athletes can stay focused on the road ahead and simply glance at information as needed. Athletes can now command SOLOS using just their voice to bring relevant metrics into view, make phone calls or execute other functions. SOLOS is compatible with Android Wear 2.0 and a variety of BLE and ANT+ compatible running and cycling sensors, to allow athletes to use Strava, Training Peaks and Under Armour platforms during their rides and runs.